In this workshop we will throw and alter pitchers and drinking vessels and work with decorative slip. The class will include lively discussions about the philosophy involved in making pottery while throwing, assembling, and decorating the different forms and techniques. The focus of instruction will be on spouts, handles, form, surface, and the relationship between these elements. When glazing we will address ways to achieve the kind of richness and surface variation in electric kilns that potters have come to associate with fuel burning kilns and reduction firing. The goal is not to imitate reduction, but to set the stage so that multiple layered glazes can interact with each other in the firing. The basic techniques of spraying and the more advanced theories of layering and blending glazes will be addressed. We will fire at ^6 oxidation. During the first half of the week our emphasis will be on making pots…throwing, assembly, form, and surface, including slip decoration. We will do at least one firing, however, with bisque pieces which participants will bring to the workshop so that all will be comfortable with the concept of spraying and layering glazes. During the final days of class our emphasis will be on glazing, with theory, demonstrations, and lectures. Participants will glaze the pots they made the first half of the week. 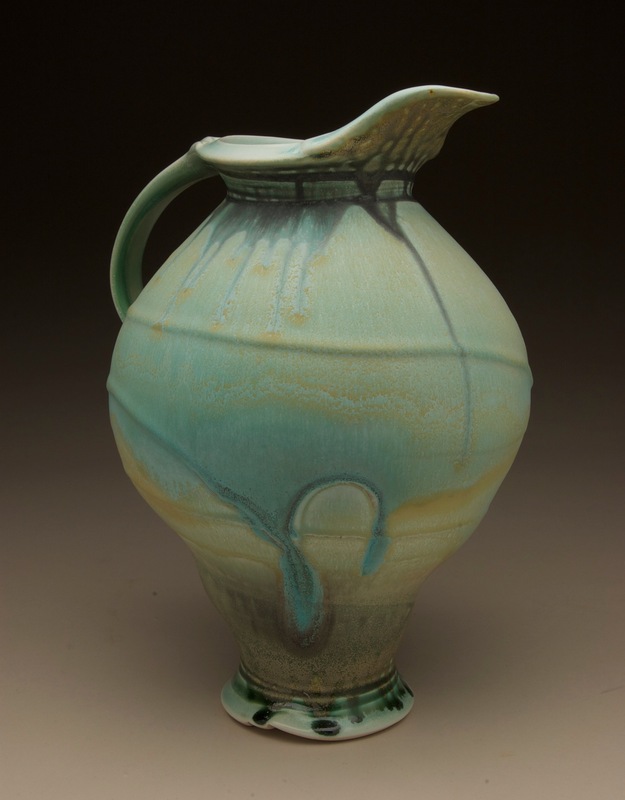 Steven Hill has been a functional potter since 1974, originally working out of a backyard studio and selling his work mostly at art festivals. By the mid 1990’s he was looking for a way to expand his studio, to begin a resident artist program for aspiring potters, and to provide space for other ceramic artists to work. In 1998 Steven co-founded Red Star Studios Ceramic Center in Kansas City, MO and co-founded Center Street Clay in Sandwich, IL in 2006. Currently Steven is doing what he does best…making pots, writing about ceramics, teaching workshops, and letting someone else take care of business! His new home is 323 Clay in Independence, MO. I simply have to make pots! While making pottery nourishes my soul, selling it puts food on my table. When I am sitting at the potters’ wheel with music reverberating through my studio, life is good! The dance that is born of clay spinning through my fingers is the place in my life where magic happens. I’ve always had a relatively narrow focus, making wheel thrown, single-fired functional pottery. My work never stands still, however…it has been a slow evolution of form and surface. Function is what keeps me rooted, but I don’t mind stretching the boundaries of usefulness just a little as I explore my tiny vision. I also love the atmospheric variation that occurs naturally across the surface of salt, soda, and wood fired pots, but I fired in gas reduction throughout most of my career. To give my pots the surface quality I was after, I learned to create my own atmospheric surfaces through careful blending and layering of sprayed glazes. In December 2008 I discovered that reduction plays a rather insignificant role in the finished look of my pottery. The cascading rivulets of ash-like glazes and mysterious microcrystalline mat surfaces work just as effectively in oxidation as they do in reduction! Even the rich brown and orange colors that I have always attributed to reduction firing are possible in oxidation. In 2010 I began the transition to ^6 oxidation fired porcelain, and the journey has been extremely rewarding.